Without them it cannot live." 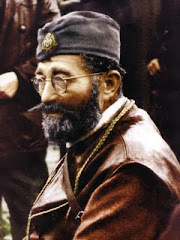 For many years now, I've told the story of General Draza Mihailovich and his chetnik freedom fighters, and my father has been telling it for much longer than that. It's a story that begs to be told. 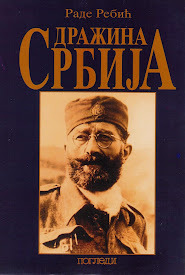 It's the story of a distinguished Serbian military man who leads the first real resistance in occupied Europe against Adolf Hitler during World War II and who for the duration of the war remained true to the fight for freedom for his people and his nation. It is the story of a man who was and remained a loyal ally of the great democracies despite the terrible betrayal that would be perpetrated against him. It is the story of a man who has been gone for 60 years now and for whom there is still no gravesite in his homeland. 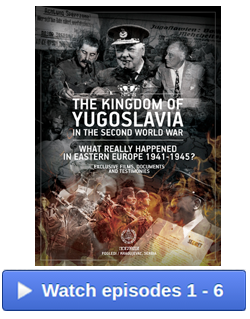 This story came to an end on July 17, 1946 when after a phony communist trial in Belgrade, General Mihailovich was executed. 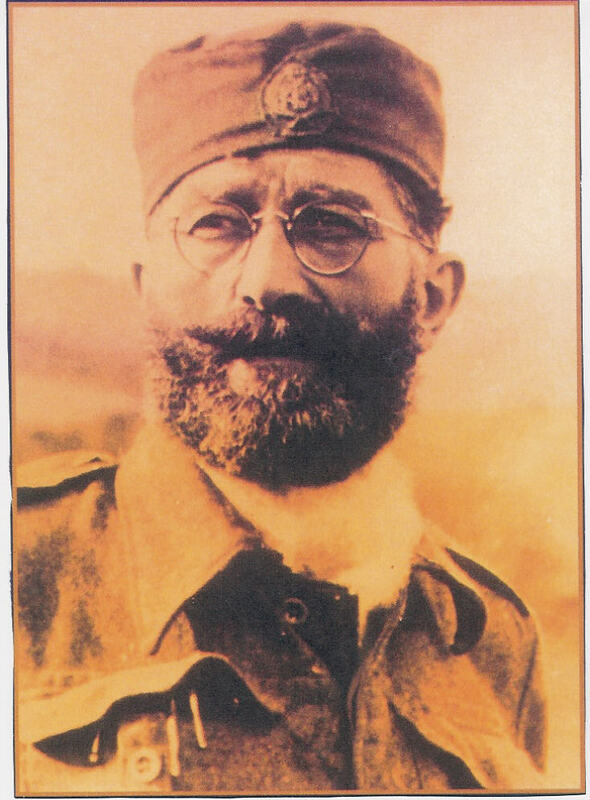 No remains were to be found or properly buried so that there is a marker in Serbia signifying the existence of a man who lived and died for the honor and survival of the people and country he loved as well as for the success of the Allied cause he remained faithful to until the end of his life. That day in July a new story began and has continued for 60 years. 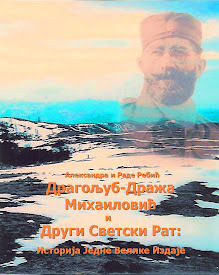 That is the story of making sure that the legacy of General Mihailovich is made known for what it truly was and that the historical record properly and honestly reflects that legacy. That is the story that remains to be told as we reach the 60th anniversary of the General's passing. 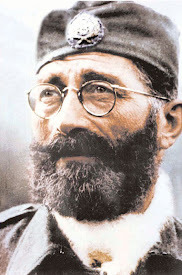 For these 60 years since his death, those who knew and understood the value of character exemplified by General Mihailovich in his actions against the enemy and in his faithfulness toward his people and his allies have kept his memory and legacy alive throughout the world. I've known many of those people personally through the years, and though many of them are gone now I'll not forget their passion and dedication to keeping this legacy alive. No one truly dies unless they are forgotten, and all of us who appreciate just how great a man General Mihailovich was and what made him a truly heroic figure in history must never allow him to be forgotten. Now that so many of those who lived that history and who fought alongside him are gone, it is up to us who have come after and who know their story to keep that legacy alive. We must. We owe it to them, and most of all, to him. Each one of us who knows the history of World War Two and appreciates the role that General Mihailovich played in that history has our own thoughts about what made him great. 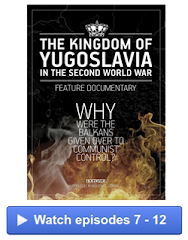 Mounting the resistance to the Nazis and maintaining it despite the horrendous obstacles and pressures that both the Yugoslav communists and the allies burdened him with as he fought to remain true to the cause is paramount. However, for me, there is something else that stands out and has become an even stronger indicator of who he was and why he is deserving of the honor and recognition that is bestowed upon true heroes. It's that thing that makes me proud to be a member of the same nationality and ethnic background as he was. General Mihailovich remained a faithful Ally. The Allies did not remain faithful to him. Over a period of time, as he struggled to maintain the fight for freedom in his homeland and at the same time remain a worthy and loyal ally of the democracies, he would be betrayed and abandoned by those who had promised assistance but who would leave him to the wolves that would ultimately take his life. Even as he watched the betrayal unfold and came to know that he had been abandoned by the Allies, he remained loyal to their cause, but not only that. He remained loyal to them. 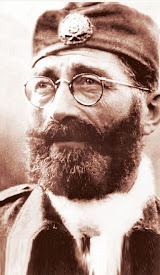 Even after the betrayal was complete, and he was left on his own against the Nazis and the communists, General Mihailovich and his people would perform acts that were beyond honorable and that almost defy the imagination considering how self-less and forgiving those acts were. 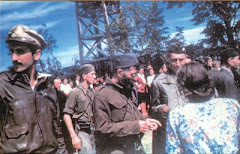 Many allied personnel found themselves in Yugoslavia in 1944 after the Allied leaders had turned their backs on Draza and his people. General Mihailovich could have left them to the wolves in retaliation, but he did not. 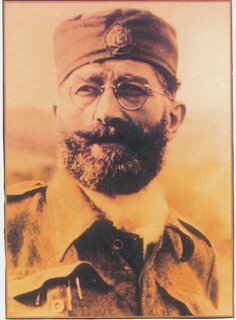 Instead, throughout 1944, he oversaw and enabled the evacuations of hundreds of Allied personnel, including liaison officers who had been assigned to monitor him and airmen who had been shot down by the Nazis and who had landed by fate on Serbian territory that was occupied by the enemy. All of the evacuations were successful. Not one man was captured. Not one man was left to his own fate and at the mercy of the enemy. All were fed, housed, protected, and evacuated to safety to return to their homes and families and to go on with their lives. They all lived to tell stories about the war and about the man who had saved them. Many of them would spend the rest of their lives dedicated to telling this story and fighting for official recognition of the man who had made their survival possible. The fact that General Mihailovich had several options is what will never cease to amaze me, and what lies at the heart of his story are the honorable choices that he made. He could have turned his back, justifiably so, but he didn't. He did the honorable thing, that unselfish thing, that reflects a "sacredness of obligation" which only true men of character, men of greatness, carry within them no matter what the circumstances are. I have no idea what General Mihailovich's relationship with God was. I can only hope that when God saw all that the General did, that He was pleased. 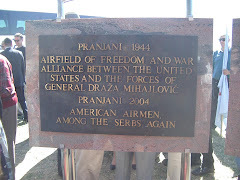 Through the years I have had the privilege of coming to know some of those WWII veterans that are part of this great story, both Allied and Serbian, and to call them my friends. I never grew tired of their story. And now that so many are gone, it's up to us to keep telling that story. We must. That is our sacred obligation. Progress has been made. 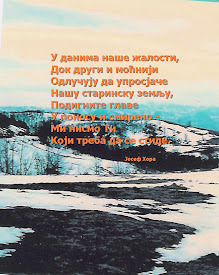 Serbia has begun to slowly officially recognize the worthy legacy of the son whom she has shunned for too long. The Legion of Merit Medal awarded to General Mihailovich by the United States in 1948 finally made it home in 2005, where it belongs. 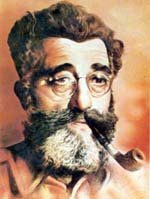 Though the old organizations established years ago continue their remembrances and celebrations of his life, new organizations have been established in his memory, such as the Draza Mihailovich American Legion Post in Los Angeles, which is attracting young veterans who will carry on the legacy. As the old guys pass on, and with them their memories, it's up to us survivors to continue maintaining the goal of securing for General Mihailovich the official recognition and place in history that he deserves. They did all the hard work. It's up to us to make sure that it was not in vain. My father has never given up. For sixty years he has remained faithful to the cause that he fought for as a young man, a kid really, and has never wavered. His passion has been passed on to me, and I'm grateful for the opportunity to have gotten to know the Mihailovich story and to be part of carrying on his legacy. It's in my blood now. I can only hope that all of us who share that same passion will maintain the same faithfulness to the cause that our fathers and grandfathers did. I know the day will come when General Mihailovich is given his proper due and his rightful place in history is permanently established with all the honor that he deserves. He was and remains a true soldier, an honorable leader, a faithful ally, and ultimately a decent human being who never turned his back on the sacredness of his obligations. That, by any measure, is what makes a man a great man. It is this kind of greatness that makes General Mihailovich a man I wish I had known, and a man that can never be forgotten. Was General Draza Mihailovich Guilty of Treason?